After a weekend of car-free public celebrations, including a mass bike ride and fun run, the new 3.2-km-long highway tunnel under downtown Seattle is now being used by vehicles. 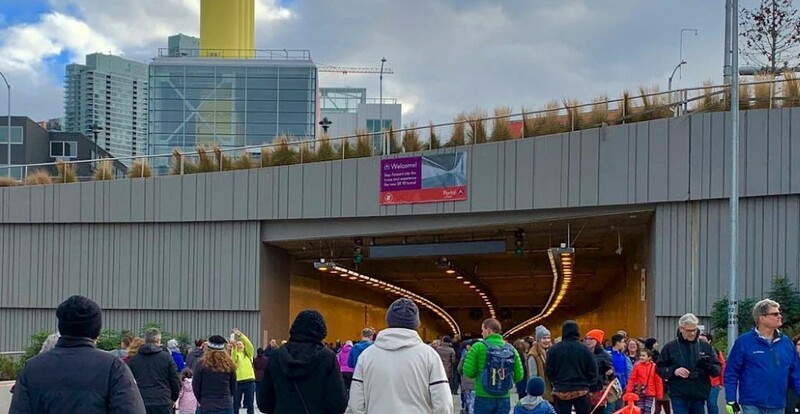 The USD $3.3-billion State Route 99 tunnel officially opened to traffic early Monday morning, replacing the now-closed Alaskan Way Viaduct running along the city centre’s waterfront. It was also a day that Seattle experienced heavy snowfall to the extent that schools had to be closed. 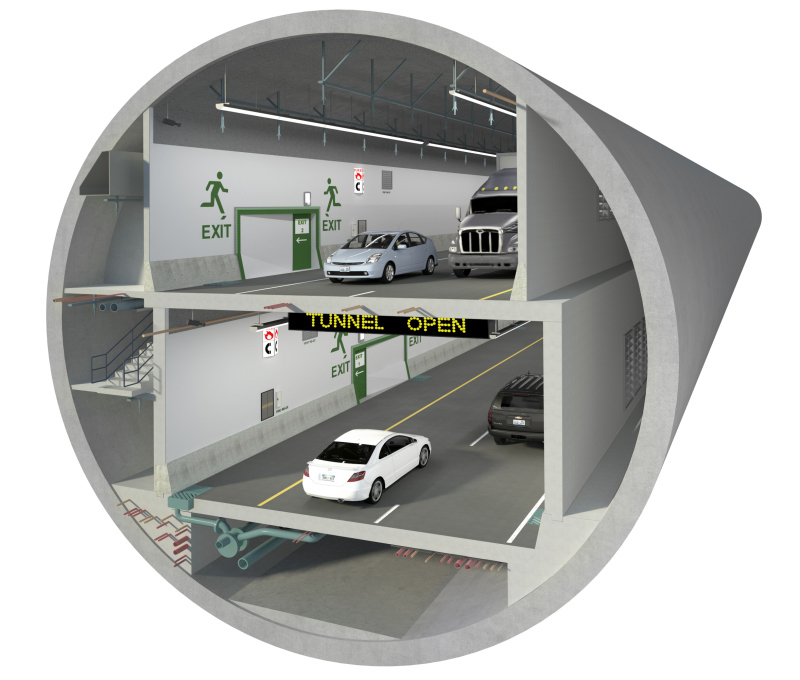 The route is the longest and widest tunnel in North America, and its 17-metre diameter fits a pair of stacked roadways (two lanes each) plus a maintenance tunnel and other passageways for evacuation and refuge. In the area of Pike Place Market, the tunnel is about 18 storeys below ground level. Currently, it is a free route for vehicles to travel through, but tolls will be enacted starting later in the year, with rates ranging from USD $1.00 to $2.25 with a frequent user pass. According to the state government, if the 2001 earthquake had lasted several seconds longer, the viaduct could have experienced a structural failure and collapse. Close to 100,000 vehicles used the viaduct daily prior to its closure last month. Remaining portals into the tunnel will open over the coming weeks. 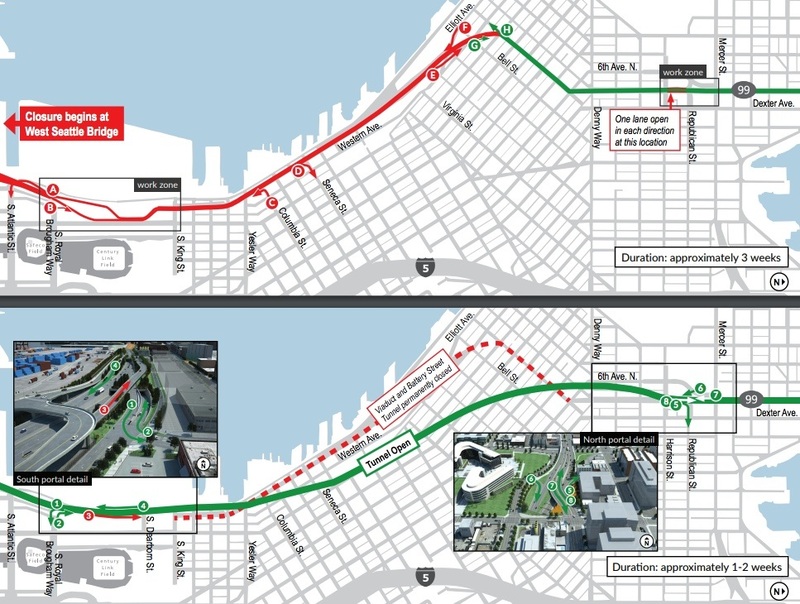 Following the months-long process of tearing down the viaducts, the City of Seattle is expected to commence major work on a USD $700 million renewal project of its downtown waterfront, which will include a new eight-lane surface roadway and extensive public spaces that connect the city centre with the water.